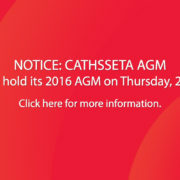 CATHSSETA hereby invites applications from stakeholders and legal entities who fall within the CATHSSETA scope. 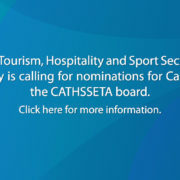 The submission of applications will be done via the CATHSSETA Indicium online portal, which is on the CATHSSETA website, www.cathsseta.org.za. The Discretionary Grant application procedures and related information are accessible on our website www.cathsseta.org.za. For detailed information please click here. To view the Discretionary Grants training manual click here. In an effort to improve efficiency related to paying our service providers, Finance has created an invoice register and a mailbox dedicated to receiving and tracking of service provider invoices. The new mailbox is invoices@cathsseta.org.za and it is currently in use. Click here to read more. The Minister for The Department of Higher Education and Training invites applications from suitably qualified persons for service as members of the CATHSSETA Board.